What do you know about riding a motorcycle? What you believe to be true and what is actual fact may surprise you. There is no shortage of myth and misconception surrounding motorcycles, their riders, and their operation. Here are 10 safety myths that you may have bought stock in. The louder your pipes, the safer you are. According to research, your loud pipes make no difference when it comes to your level of safety. In fact, bikes with modified exhaust systems are involved in more crashes than those without. If you want to be loud, be loud visually with bright helmets and light-colored clothing. Helmets break necks. It makes sense, in theory, that the heavier your head, the more likely you are to break your neck in an accident. People who wear helmets suffer fewer neck injuries than those who do not because the helmet absorbs force. Helmets hinder vision and hearing. Wearing a properly-designed, correctly-fitting helmet does not impeded your sense of hearing or vision. There is really nothing else to say. Helmets do not help in the majority of collisions. Most impacts happen at low speeds. Most helmets are tested at impacts occurring at low speeds. This does not mean, however, that a high-speed impact will cause your helmet to fail. You are more likely to survive a crash wearing a helmet. Period. You can handle any situation given enough skill. It stands to reason that the more experienced you are, the more likely you are to be able to handle anything the road throws at you. Do not rely on your skill and experience. Doing so can make you behave recklessly on your bike. Laying it down is safer. You are far better to brake and collide with a vehicle at low speeds than you are to lay it down. When you collide, you may be thrown over the vehicle or even backwards into the air. When you lay it down, you either come to a full and very rapid stop against the vehicle or you become wedged tightly under it. One drink is okay. No. It’s not. Streets are safer than the highway. In all actuality, highways are safer than streets as all the traffic is traveling in the same direction at a similar speed. You are better off to take the highway when given the option. Anti-lock brakes are dangerous. Just the opposite. ABS systems can help you in a panic-braking situation more than you think. You are less likely to lock up your bike when you choose one with an ABS system. Other drivers don’t care about you. Yes they do. Many do not think about motorcyclists simply because they do not know anyone. Do not assume, however, that this ignorance equates a lack of care or concern. If you have been injured in a motorcycle accident, please reach out to our compassionate attorneys. We are here to fight for your rights and get you the compensation that you deserve. Call us today. MADD fights tirelessly for the rights of victims and their families. The group not only fights to ensure that the rights of victims are protected, but that victims and their families have adequate access to support services. MADD currently has more than 1,000 advocated across the country who are trained to provide support for victims of drugged or drunk driving. Volunteers staff a 24-hour help line that provides victims with support any time of day or night. The group promises to provide support to victims as long as there are people who need it. In honor of National Crime Victims’ Rights Week, MADD has launched two brand new online tools with which survivors and victims of drunk driving can find the support they need. A new Facebook group has been launched specifically for victims and survivor. The group provides an online space for people to connect, share, and look for the support they need. Any victim of survivor is welcome to join the closed group by clicking here and requesting membership. Those who are not victims are invited to join the Mothers Against Drunk Driving (MADD) Facebook page instead. The second support service launched by MADD last week is a new online chat feature on their main website. Victims and survivors will receive the same type of support that the hotline provides without the need to make a phone call. Live chat can be located on MADD’s homepage or, alternatively, the Victim Services page. The online chat feature is available Monday through Friday during normal business hours. If you attempt to chat with a volunteer and none are available, leave a message in the chat box. Your query will be answers by email as soon as someone is available to offer assistance. Whether you are a victim or a survivor, MADD hopes that you will find these two new ways to find support effective and useful. Spread the word about these tools freely! The more victims and survivors that MADD can reach, the more impact the group will have. If you are the victim of a drunk driving accident, we are here to help you fight for your rights. You may be deserving of compensation for your injuries and damages sustained. Our compassionate attorneys are here to assist you. Call us today so that we may discuss the details of your case at no charge to you. Call us now. An accident involving a school bus and a passenger vehicle has left three people injured in southwest Charlotte earlier this week. Law enforcement officials say that the accident happened on Holabird Lane near West Boulevard at approximately 8:00 a.m. when the car became pinned under the rear of the school bus. Police did not indicate how the accident happened. Firefighters had to rescue the adult driver who was later transported to an area hospital with what could be life-threatening injuries. Two children who were also in the car had minor injuries at the time of the crash. None of the six students of who were on the bus at the time of the accident were injured. The students were being transported to Myers Park Traditional Elementary School. When parents send or take their children to school, they are always concerned that their children will be safe while they are away from home. When accidents happen, especially when children are involved, a parent can feel panicked and even devastated if their own child is one of the ones who are hurt. If you or a loved one has been involved in an automobile accident, having a good legal representative on your side is important. You need an attorney who will fight on your side. At the Law Offices of Auger & Auger, our attorneys are focused on every aspect of accident and personal liability law. We can do what needs to be done to help you after the accident. Call us today for your free consultation. Imagine taking the vacation of your life, only to find yourself stranded and unable to return home. This was the reality for a Raleigh woman after she was involved in an ATV accident while on holiday in Aruba. The accident left the woman stranded in the hospital. Deana Kennedy and Kenya Dukes departed for Aruba intent on celebrating Kennedy’s 35th birthday. The two planned on spending four days in Aruba lounging in the sun and soaking up the atmosphere. Unfortunately, that isn’t how things played out. Not only did Kennedy roll, but she sustained a broken pelvis in the accident and required immediate surgery. But why did the two get stranded? After surgery, Kennedy was not able to sit up. Her inability to move correctly prohibited her from boarding a plane for home. According to medical professionals, Kennedy will require a ride aboard an air ambulance to return to the United States at a staggering cost: $34,000. Add to that the $22,000 needed to cover the medical bill, and the cost of this vacation has skyrocketed. Although this situation is extreme, it is not rare for travelers to find themselves in need of medical attention on vacation. Most people’s medical insurance will not cover those expenses. Any person who is planning on traveling internationally should seriously consider paying for traveler’s medical insurance. Cost of this type of medical insurance can vary, but it is well worth it should you find yourself faced with a medical emergency. Dukes and Kennedy will be able to return to the United States this week where Kennedy will continue to recover from her injuries. If you or a loved one has been injured in an ATV accident, you may be entitled to compensation. An experienced attorney can look over your case and help you determine the best course of action. Contact our office as soon as you are able so that we can review your case at no cost to you. Our lawyers are here for you and your family. Call now. The North Carolina Department of Transportation advises that the month of October is the most common for car versus deer collisions in the state. We may be far removed from October, but spring is well upon us and animals are getting, well…frisky. Deer are not the only animals that seem to appear out of nowhere and directly in the path of our vehicles. Other forms of wildlife are as happy about the warm weather as we humans are, and they are out in mass numbers. Knowing how to avoid a collision with a deer or other animal can not only save damage to your vehicle, but it can save your life. Know where animals are common. Understand that you are more likely to see wildlife in heavily wooded areas, near bridges, overpasses, railroad tracks, and bodies of water, no matter how small. Watch for the signs. Literally. Watch for the signs. The NCDT posts warning signs in areas where animal populations are high or accidents are frequent. Look out for groups. Deer, specifically, rarely travel alone. If you see one deer, quickly scan your surroundings for others. Where there is one, there are typically many. Other animals like raccoons and opossums tend to travel solo. Scan your surroundings. Don’t get so caught up in driving or so out of focus that you only stare straight ahead. Use your peripheral vision to scan your environment for wildlife. Make use of your headlights. Turn your headlights on earlier than you think you need to and keep them on longer than you think is necessary. Headlights can reflect in animals’ eyes helping you to see them sooner. Be cautious in low light. 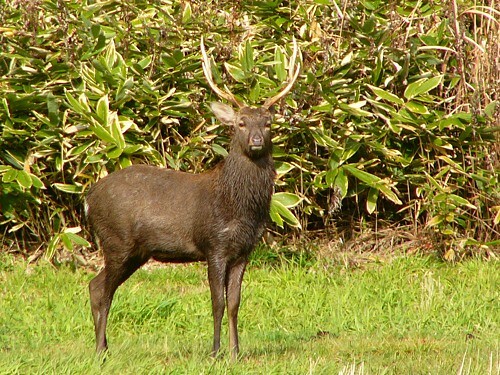 You are more apt to have an encounter with a deer or group of them during dawn and dusk. This is when the animals are most active. Follow the laws of the road. Stay within the posted speed limit, avoid tailgating, and drive responsibly. When you do these things, you are less likely to hit the person in front of you who is unlucky enough to collide with a deer. Don’t try to miss the animal. It is unfortunate, but sometimes an animal being injured is better than a human being injured or killed. It is ultimately safer to strike the animal than swerve to avoid hitting it. Not all accidents with wildlife can be avoided, but you can reduce your chances of running into one. If you or a loved one has been injured in an accident, contact our compassionate attorneys for assistance today. If you are in the market for a new car, it only makes sense that you consider safety when choosing your make and model. New technology has made cars safer, but what if you aren’t looking for a new model? Not all car buyers shop new. The Insurance Institute for Highway Safety issues a report outlining the most dangerous vehicles and the safest ones, based upon death rate. Vehicles in the report are all of the model year 2011. If you are shopping for a used car, consider your options carefully. Between 2008 and 2011, vehicle fatalities dropped 41 percent from 48 fatalities per million registrations to just 28 per million. It is a huge improvement, but car shoppers should still consider the following information when choosing the next vehicle they will be using to hit the open road. The Kia Rio may be one of the worst choices that you can make with 149 fatalities for every million registrations. The Rio was followed closely by the Nissan Versa sedan at 130 fatalities per million registrations and the Hyundai Accent at 120 fatalities per million registrations. Several other small cars also made the list. When it comes to the safest cars on the list, nine separate models had a fatality rate of zero: Volvo XC90 4WD, Toyota Highlander Hybrid 4WD, Toyota Sequoia 4WD, Subaru Legacy 4WD, Mercedes-Benz GL-Class 4WD, Lexus RX 350 4WD, Kia Sorento 2WD, Honda Odyssey, and Audi A4 4WD. Just eight years ago, IIHS conducted the same study and discovered that no make or model had a zero death rate. A complete elimination of traffic fatalities is something that is decades away, but vehicle improvements are making the risk less. In 2013, 32,719 people were killed in car accidents, a number down from the 33,561 people who were killed in 2012. While the study examined data through the end of 2012, it only concentrated on drivers. Passenger deaths were not included. So what do you look for? Larger cars are safer than smaller ones. “Mini” cars are the most dangerous of all. Four wheel drive is always a viable option and a safe choice. No matter what you choose, be sure to conduct a fair amount of research before you plunk any money down. 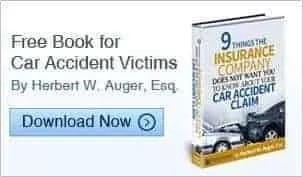 If you or a loved one has been injured in an auto accident, please contact our attorneys as soon as possible. We are here to assist you and your family today. An accident involving a Megabus that was traveling from Chicago from Atlanta left 19 people injured on Monday. According to the Indiana State Police, at approximately 5:30 a.m. on Monday morning a southbound bus travelling on Interstate 65 crashed about 35 miles southeast of Indianapolis when it rear ended a semi-truck that had been stopped for construction. The bus pushed the 18-wheeler into the back of two passenger vehicles. Authorities say that the bus, operated by Megabus, was carrying a total of 63 passengers at the time of the accident. The 19 passengers who were injured were taken to area hospitals with only minor injuries. Megabus officials said in a statement that they are fully cooperating with authorities while the accident is under investigation by the National Highway Traffic Safety Administration. There have been other recent crashes involving the low-cost carrier, Megabus. Authorities have ruled out alcohol as a factor in Monday’s accident. Many people depend upon mass transit, such as traveling by bus in order to get to where they want to go at a more reasonable cost. Accidents, however, can happen. Injuries resulting from bus accidents can be serious or even deadly. Even when a company follows all safety laws and regulations, the worst can happen. Most accidents happen because someone was careless. When fault is determined, it’s the insurance company of the person or company responsible that has to pay for the cost of injuries and damages after the accident. If you or someone you love has been injured in an accident, it is important to speak to someone that understands the laws. If a company has a history of accidents, then negligence can be a factor. Establishing negligence and legal liability is the first step in any personal injury claim. At Auger & Auger, we understand how accidents can affect people’s lives. Don’t go it alone. Get legal help in your corner that will fight for every dollar you are entitled to. Call us for a free consultation today. Three Senators in North Carolina have introduced legislation that would expand current interlock ignition laws to include all people convicted of drunk driving. In the state, current law requires the installation of interlock ignition devices for repeat offenders, those who refuse to take a chemical alcohol test, and anyone who has a BAC of greater than 0.15. SB 619, proposed by Senators Josh Stein, Bill Rabon, and E.S. Newton would strengthen the current law. All drunk driving offenders with a BAC of 0.08 and above would be required to have the devices installed on their vehicles. Twenty-four states already have a similar law on the books, including Virginia and Tennessee. In 2013, one-third of deaths on state roadways were caused by a drunk driver. During that year, 371 people were killed in the state. One of MADD’s largest campaigns is to pass similar legislation in all 50 states. According to the CDC, ignition interlock devices are effective in reducing the incidence of drunk driving by 67% been compared to license suspension alone. Other states in the nation have seen similar outcomes. The federal government has grants available for any state that passes this type of legislation. If passed, North Carolina would be in line for $574,000 in funding to kick-off and support the installation of these devices. If you or someone you love has been injured in a car accident due to a driver choosing to operate a vehicle while intoxicated, you have rights. Contact our offices immediately for assistance in getting the compensation you deserve. As proud supporters of MADD and the group’s various initiatives, we invite you to visit MADD’s website to learn more about this organization and how they work to promote sober driving throughout the state of North Carolina. 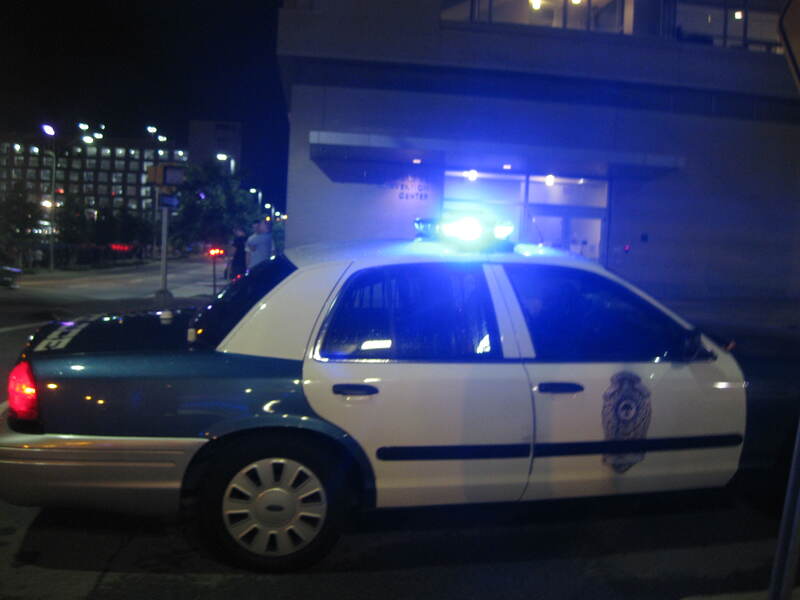 RALEIGH, N.C. – While local police agencies are fighting to keep drunk drivers off of the streets in the interest of public safety, court systems are experiencing a back log. Local courts are finding it difficult to keep up with the number of new cases as North Carolina police amp up their efforts. It is not unusual to see DWI checkpoints set up around local counties. Road blocks are set up and drivers are stopped. If you are intoxicated, plan on being arrested. In Raleigh alone, federal grant money topping half a million dollars supports department efforts to man a DWI squad. During just one checkpoint early on a Saturday morning, Raleigh police arrested 18 people for drunk driving in a matter of two and a half hours. Between January and November last year, police made close to 3,000 DWI arrests. Those numbers were up from 2013 when arrests totaled under 2,000. Chief Justice Mark Martin is seeking to increase funding for a struggling court system that sees a backlog of DWI cases dating a year or more. Martin is after $30 million to cover operating costs and increase salaries. Since 2008, operating funds have dropped more than 40 percent. 500 positions have been eliminated throughout the local court systems, and other positions have simply been left empty. In 2013, courts saw more than 5,500 DWI cases and that number is on the rise. Although cases continue to pour into the courts, there has been no added manpower and no increase in operating funds. People are doing what they can with limited resources, but the backlog is jamming up the system. The backlog may be frustrating, but it is proof of one thing: Local police are doing everything in their power to make sure the streets are safe for everyone. If you make the decision to drink and drive, you can expect to get caught at some point. Luck is not on your side. If you or a loved one has been injured at the hands of an intoxicated driver, you deserve compensation. Call our experienced attorneys for a free consultation as soon as you are able to do so. We are here and ready to work for you. Our attorneys will review your case and determine the best way to move forward. We want you back on your feet. Call us now. Golf carts are a popular way to get around cities in North Carolina. From gated communities to campgrounds, from sporting events to college campuses, these handy little vehicles make getting where you need to go a breeze. As golf carts become increasingly popular, so do golf cart accidents. When not driven with proper safety in mind, these machines can be just as dangerous as a sedan. Originally made to carry golfers and their gear, the design of the cart has changed over the years to accommodate different purposes. What carts all have in common, however, is their ability to carry passengers short distances while never reaching speeds over 15 mph. In North Carolina, anyone 15-years and older can legally drive a golf cart. Unfortunately, the number of injuries and deaths incurred in golf cart accidents tells us that these four-wheeled vehicles are not the safest choice. Injuries sustained in accidents include burns, lacerations, fractures, spinal injuries, and paralyzing injuries. Although people of any age are susceptible to golf cart accidents, one-third of those injured are children. Golf carts seem like toys to many. Their diminutive size and relatively low speeds make people forget that they are driving a vehicle. If you and your friends or family decide to utilize a golf cart, never forget that you are driving a powerful piece of machinery. When you keep this in mind, it can mean the difference between a wonderful vacation or a tragic one. If you are driving a golf cart, keep safety rules in mind. If you are the passenger in a golf cart, do not behave out of sorts. No matter your position in the cart, you share in the responsibility of ensuring that everyone has a safe ride. If you have been injured in a golf cart accident, please contact us immediately. We are here to fight for your rights and get you back on your feet. Call us today for a free consultation.